Come to Bolivia and find out! The Maryknoll Bolivia Mission Immersion Program offers exposure trips and volunteer opportunities as a way of introducing North Americans to mission, to cross-cultural engagement, and to the realities of Bolivia. Join us, the Maryknoll Lay Missioners, Brothers, Sisters, and Priests for what is sure to be a formative and transformative experience of life alongside the Bolivia people. We are privileged to be witnessing a historic moment of change as Bolivians struggle for a better future in this richly diverse country - the poorest and most indigenous in South America. The Maryknoll Catholic missioners invite you to bring your gifts and your questions, and be converted to a deeper understanding of peace and justice as central to living the gospel. 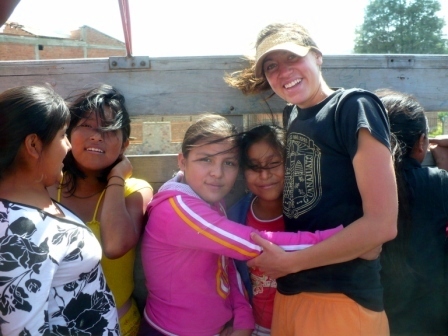 Six-week to one-year mission immersion in Bolivia doing volunteer service. Individuals, married couples, and families are invited. · Maryknoll Bolivia will place volunteers in ministries that reflect Maryknoll’s values, favoring partnership over paternalism, empowerment over dependency, and reflecting gospel values. Examples include work with schoolchildren, orphans, elderly, special education and HIV/AIDS, prisons, parish groups, etc. Placements will be determined according to availability of mission sites and talents and interests of volunteers. 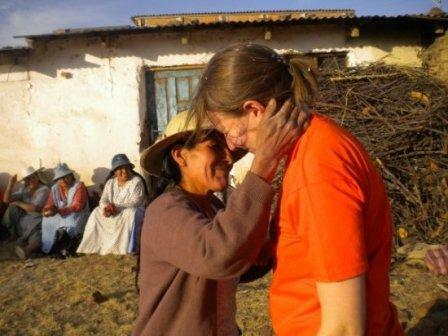 · Maryknoll Bolivia will find housing for volunteers, provide orientation upon arrival in Bolivia, accompany volunteers throughout their time here, and assign each volunteer a Maryknoll missioner as a mentor. · Upon completion of service, Maryknoll Bolivia will facilitate a process of mission integration and re-entry to the U.S.
* Six-month to one-year volunteers need demonstrated proficiency in Spanish. 1-3 week mission immersion experiences in Bolivia for groups of 8-15 people from the U.S.
· Groups from universities, parishes, activist organizations, and others are invited. · Maryknoll Bolivia will assist with the facilitation of pre-trip preparation. · Groups will be introduced to mission and to Bolivia as they meet Maryknoll missioners and Bolivians involved in a variety of ministries. · Groups will engage in daily prayer and reflections on experience. · Maryknoll Bolivia will organize presentations and sharing around the social, political, economic, cultural, and religious reality of Bolivia. · Participants will visit diverse historical and cultural sites, projects, organizations, and communities. Maryknoll will serve as a resource for continued involvement with mission and global concerns. Check out our website at www.maryknollboliviavolunteers.org or contact us below. The Maryknoll Mission Center in Latin America (www.cmmalbolivia.org), located in Cochabamba, offers a world-renowned language program. Volunteers may wish to study Spanish through the language program before volunteering with Immersion Program - please note that the application and payment process is separate. Both programs are part of the Maryknoll Mission Center in Latin America, and we work closely together to facilitate participation in both programs. Many of our volunteers have found this a wonderful way to enhance their immersion experience. Contact Dan Moriarty, Director of the Maryknoll Bolivia Mission Immersion Program, below. Also, find lots more information, resources, photos, answers to frequently asked questions, and an online form to request an application, all on our website www.maryknollboliviavolunteers.org.